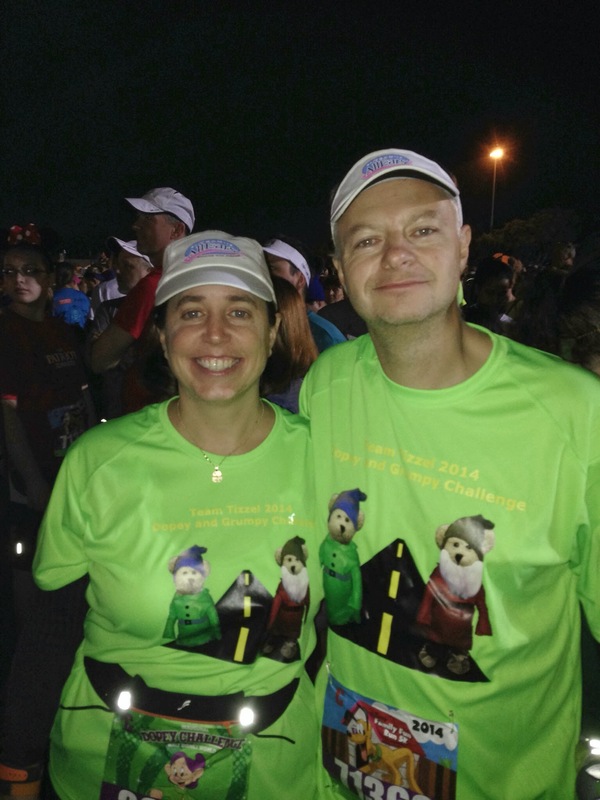 Some folks on our charity running team, Team AllEars, had a great idea to help build a little fun into our daily lives. 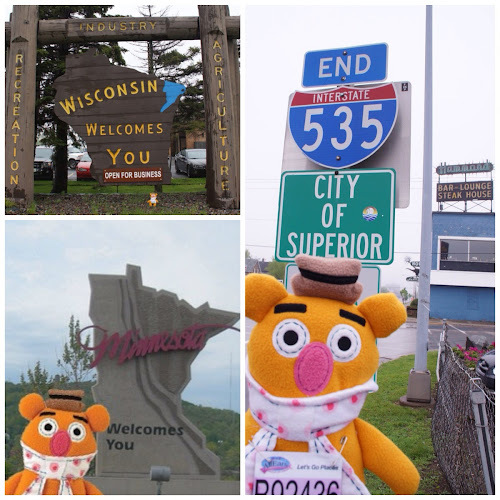 Following the premise of The Flat Stanley Project, our team members have been sending four Muppet Pook-a-looz across the country. Pook-a-looz was a short-lived brand of Disney plush toys that depicted characters as flatter characterchures of the original. 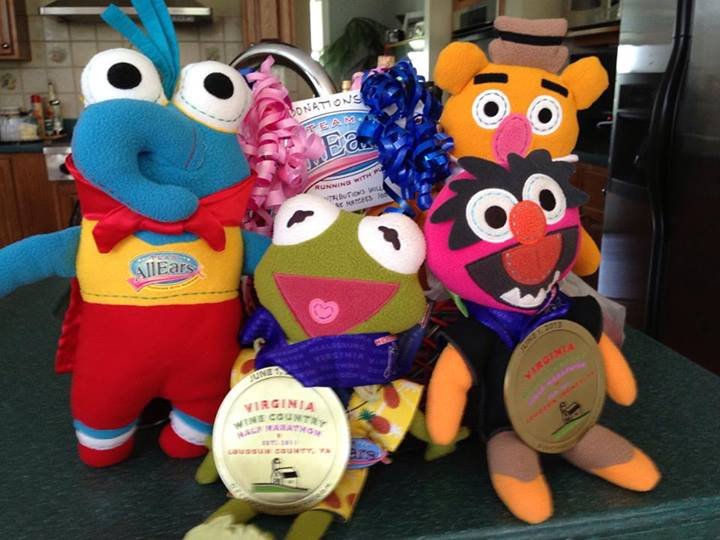 The Muppets were dispatched across the country after their introduction at the Wine Country Half Marathon. For a month or so we hosted the Fozzie Pook-a-looz. 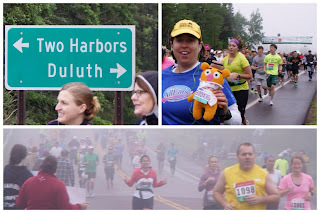 He traveled north with us to Superior, Wisconsin and Duluth, Minnesota for Grandma's Marathon. Most recently, he traveled to Chicago to join a few other Team AllEars members in the Rock & Roll Half Marathon. 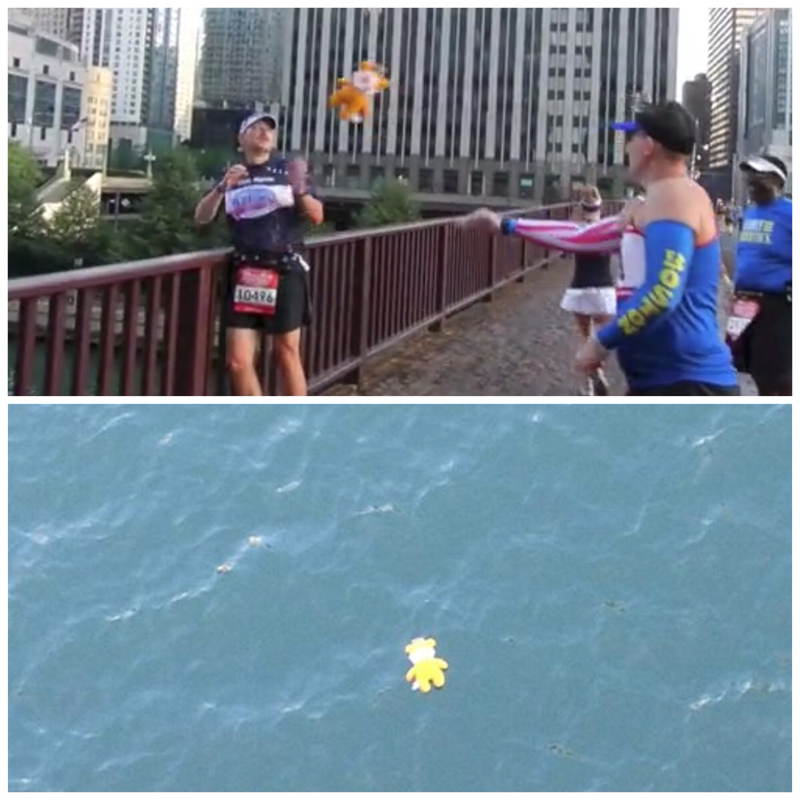 Last week at the Rock & Roll Chicago Half Marathon something tragic happened. Eddie was passing Fozzie over to teammate Stan for a photo opp. 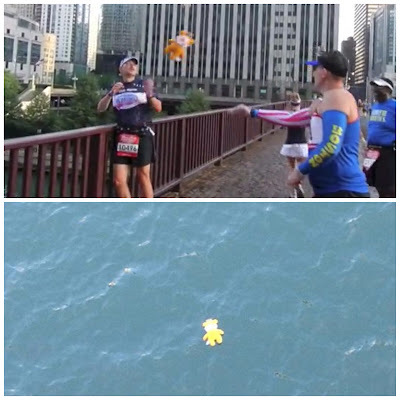 Unfortunately they had this bright idea while standing on a bridge over the Chicago River..... Fozzie ended up in the drink. Our team Facebook page erupted with comments. Most were sad, but some were skeptical and suspected foul play. 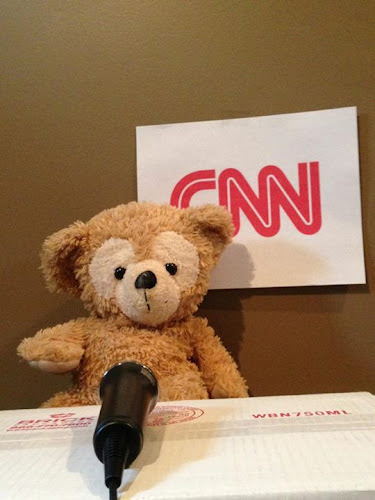 Public outcry and media coverage demanded an investigation. Yep! Eddie procured a stunt-double to take the fall. We shipped the real Fozzie off to the next team member signed up to look after him. 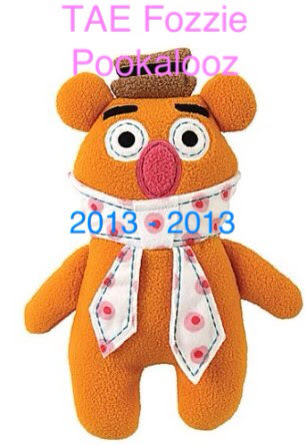 We'll miss Fozzie. So will Tizzel. Last weekend Dave went to his hometown of Warwick, NY to visit with family. While there he had a few new experiences. The Bellvale Farms Creamery was perched on the top of Mount Peter and overlooked the farms of Warwick Valley. The place was packed at 3pm with a mix of families and hikers whom may have spent the day, or past few days, hiking portions of the nearby Appalachian Trail. 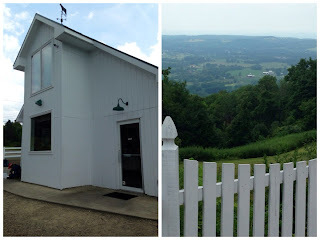 Dave and his Grandmother chose to have hard ice cream vs. the soft serve and enjoyed the views and people watching. 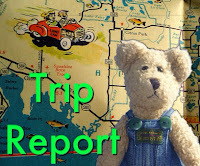 Dave had a chance to visit a few other local eateries. The first stop was of course Franks's Pizza. Dave has been coming here since he was a kid for the best New York style pizza. This one sets the standards that all others are judged by. A few places do better, but anywhere in Chicago falls below these standards. 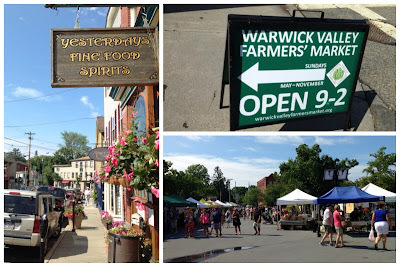 Railroad Avenue didn't offer much when Dave was growing up, now it has become Warwick's restaurant row with bakeries, a French cafe, chocolate shop, wine bar, Irish bar, and Italian restaurant. 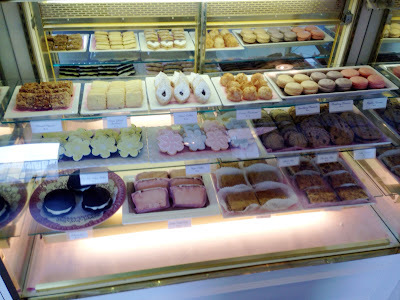 Dave picked up some chocolates at Sweetbriar's, had breakfast with his family at Le Petite Cuisine, and picked up some desserts one night from Eat Sweet Bakeshop. 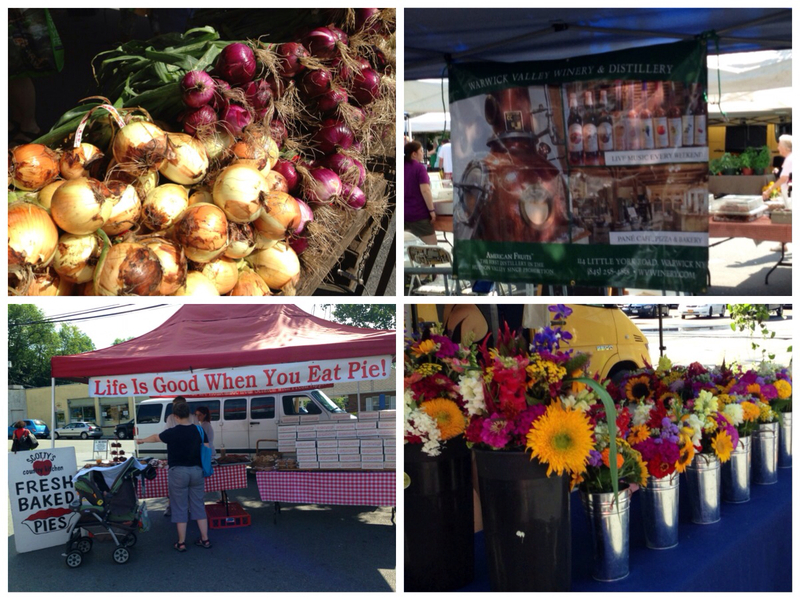 After Sunday breakfast with the family Dave walked over to the Farmer's Market. 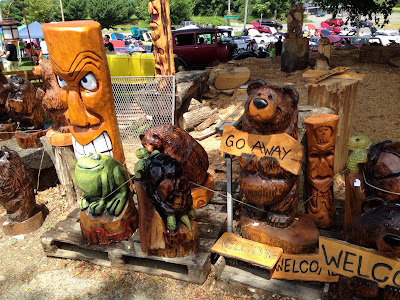 It's held in the main parking lot in town right behind Main Street every Sunday in-season. 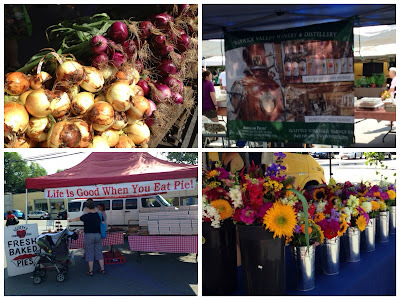 Lots of different vendors were on-hand selling produce, beef jerky, breads, flowers, and wines from some of the local wineries. One sign caught Dave's eye while at the market. 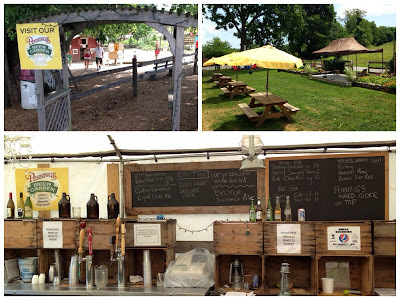 He noticed one of the local farm markets advertised themselves as a brew pub? How was this information withheld from him all weekend? 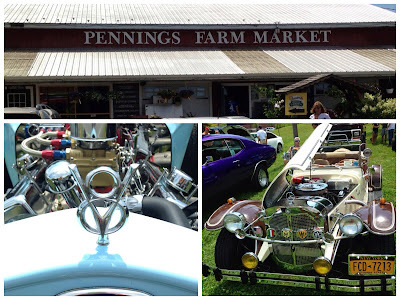 Dave enquired more and found out that the market was also hosting a car show that day. Sounded like something Dave and his dad should check out. 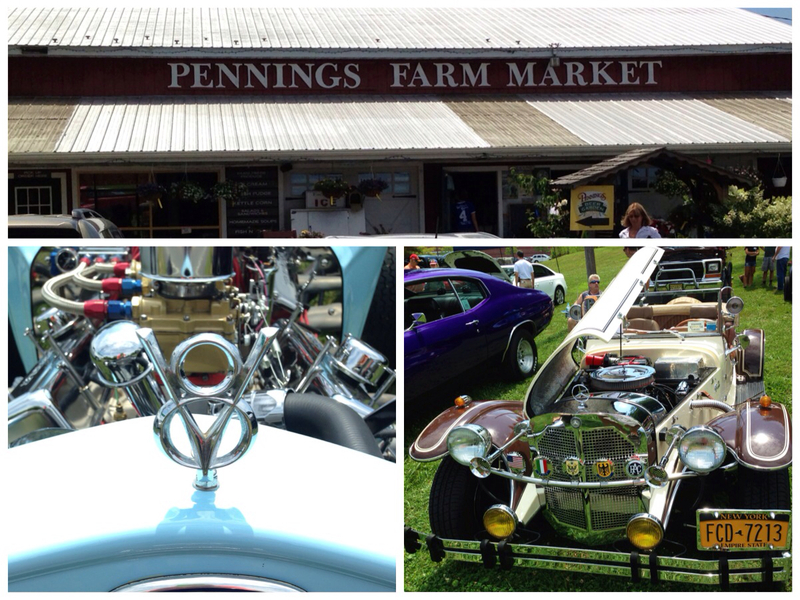 Pennings Farm Market has certainly evolved over the years. It used to be one of those places you'd stop at for local produce and flowers. 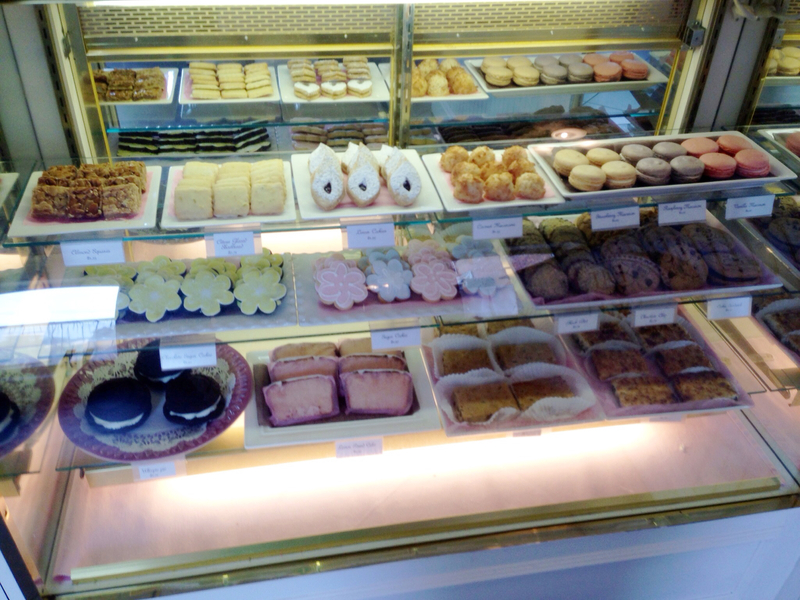 Now, you can eat in their bar, enjoy their ice cream and baked goods, and pet their chickens. They also have a beer garden and outdoor bar - where Dave and his dad sat and enjoyed some regional beers. For the brew pub purist - we will warn you they are not brewing on-premise. They are contract brewing their cider and are growing hops to go into a beer they will be brewing in partnership with a local brewer in Chester. With that said, we had a great time sitting there enjoying a pleasant summer afternoon. 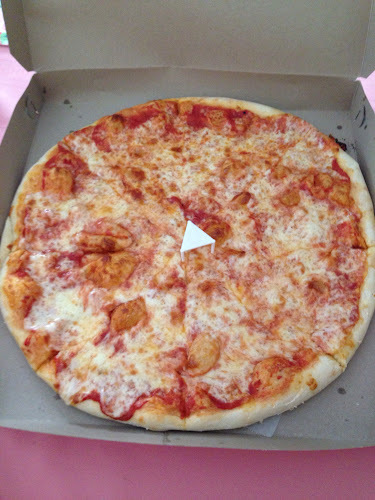 Finally, here's a short video of Dave picking up and eating NY Pizza from Frank's. Our good friend "Fast" Eddie McCoy posted the following on Facebook the other day. It really summed up what running/walking has done for us. 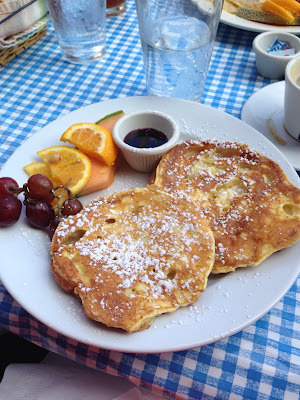 We are pleased to present to you Team Tizzel's first guest post! If you are looking for some inspiration read Eddie's story of how he went form weighing over 300 pounds to becoming a multiple Boston Marathon qualifier in 4 years. 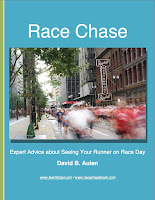 He's been a guest on The Marathon Show with Joe Taricani and The Mickey Miles Podcast. We've attended several marathons this year with him and instead of running his own race, he's hung back to enjoy the race with friends. Eddie is definitely someone you should get to know in the running community. "Yesterday, I was approached in the grocery store because I was wearing my Flying Pig Marathon shirt. This gentleman was I'm guessing in his 50's, but he was just so excited to talk about running. He congratulated me on running a marathon. I then was able to find out that he was about to run his first 10K this weekend. It will be his furthest distance race at this point. His dream is to run a marathon. I was just honestly delighted to see his excitement and enthusiasm about running. It was a very brief encounter but it reminded me why this sport is so wonderful. When you train properly and go after a goal, the result is so meaningful and it has nothing to do with time as much as it proving something to yourself. This man didn't care whether I was fast / slow or anywhere in between. He was just amazed at the accomplishment which someday he is trying to attain. There is so much reward in this sport. Sometimes it gets lost, but the one thing that I love the most is going out and running each day. There is a clarity that it brings to my life and sets the tone for the day. It is a time when I don't or won't think about work. I can get in a zone and just be myself. If you want to challenge yourself, it is there for the taking. If you want to have fun with friends, that is also there as well. Running is what you make of it. 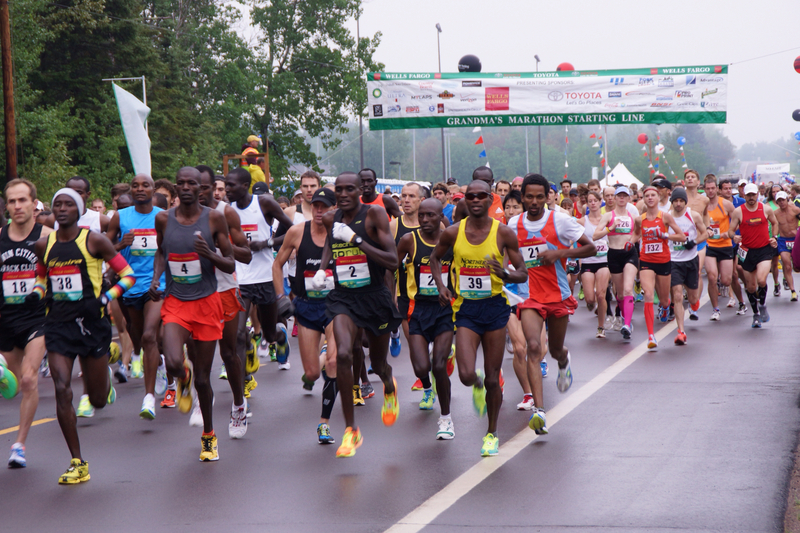 The fun in running comes from the grounded feeling you have by hitting the pavement each day and finding yourself. 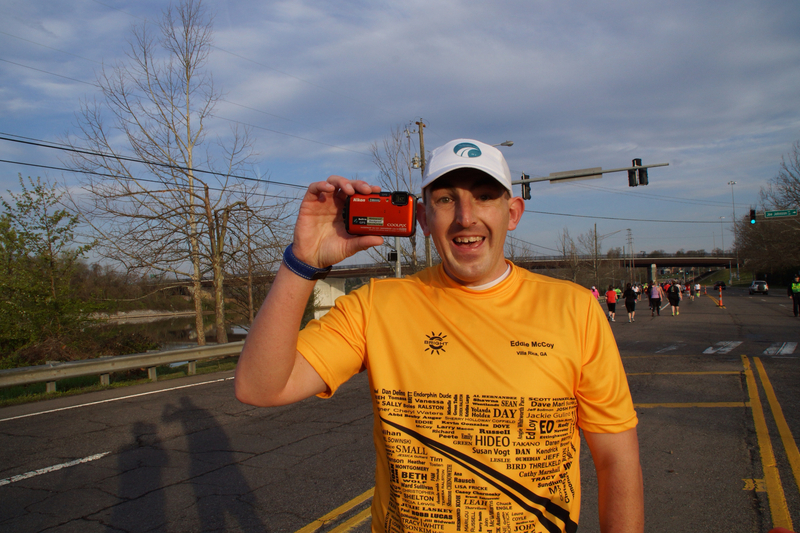 I was very pleased and excited to talk to this man about to run his first 10K." Next time you are at a race look for this guy with a Bright Running shirt with his name on it. We are in our 40's with no kids. 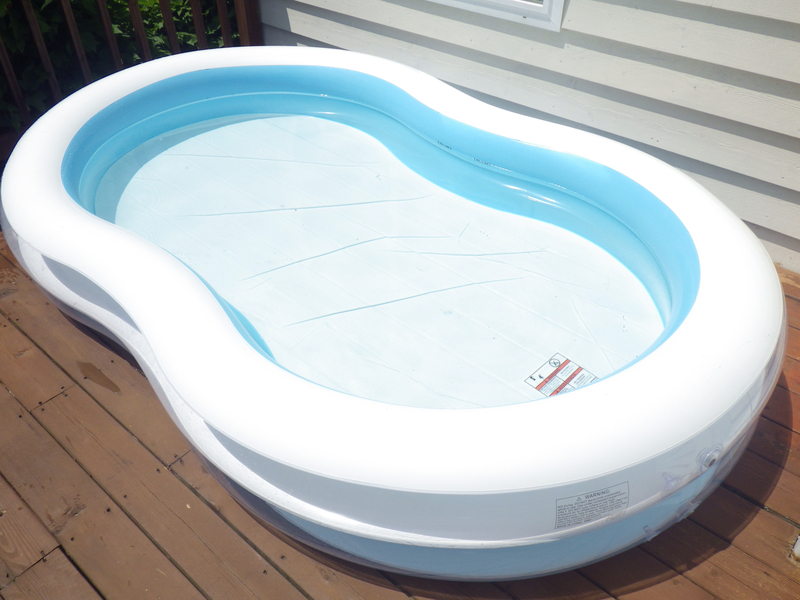 And we have a kiddie pool. It's part of our weekend. 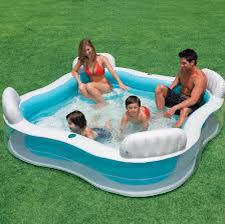 Saturday we hit the chain for lunch and maybe a band at Blarney Island, but Sunday is about relaxing in the backyard. 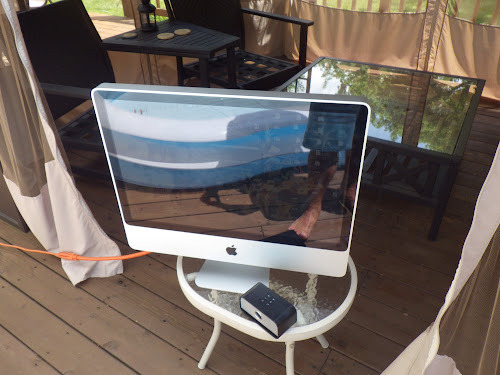 Holly wanted to watch the Tour de France while in the pool today so we set the old Mac up to pull off the Directv receiver with Slingbox. We used to have this pool, but it got a hole in it. It was expensive and lasted one season. 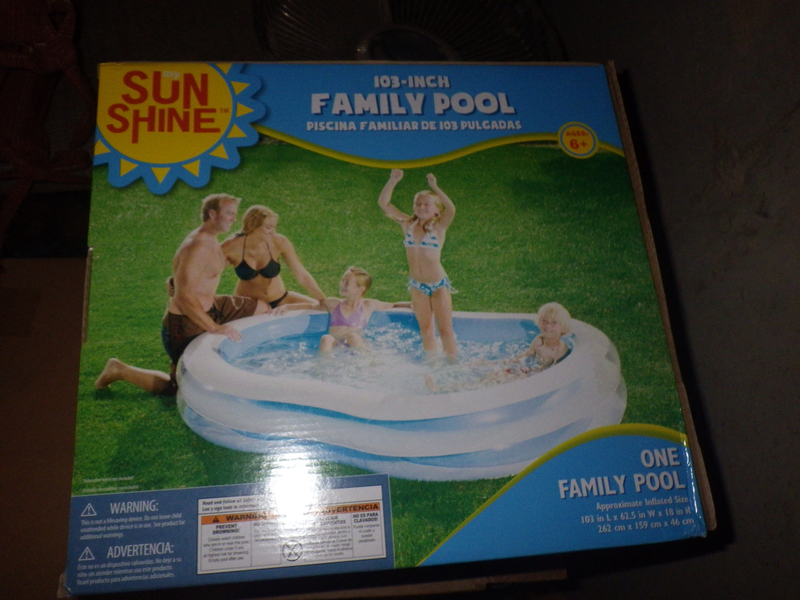 The new pool is from Walmart and cost 1/5th the price of the fancy one. We like it so much we bought two more for backups. 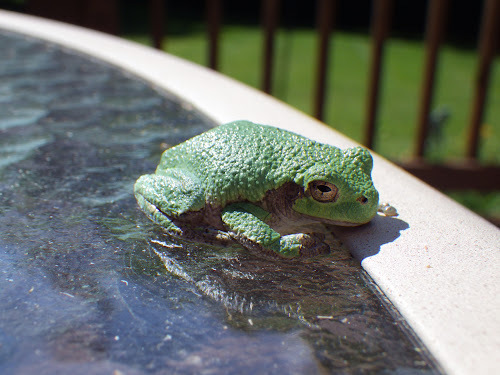 Random side note: this guy was on our patio table this morning. 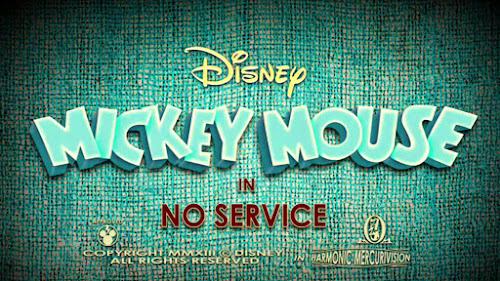 The Disney Channel (and Disney.com and Mickey.disney.com) is releasing new Mickey Mouse shorts this year. The new shorts range from 3-6 minutes in length and feature classic characters such as Daisy, Minnie, Donald, Goofy, and Mickey. The animation is 2-D, not 3-D, and the shorts are directed by someone whom worked on Dexter's Laboratory (one of Dave's favorites) and Powerpuff Girls, thus explaining the similar style to those shows. We watched a couple of the shorts this weekend. We thought they were cute, but one thing struck a bad note with us. In No Service a dog walks by a hydrant and does its business. A full display of urine showering the hydrant. There shouldn't be urine on The Disney Channel. Here are a couple of the shorts for your enjoyment. 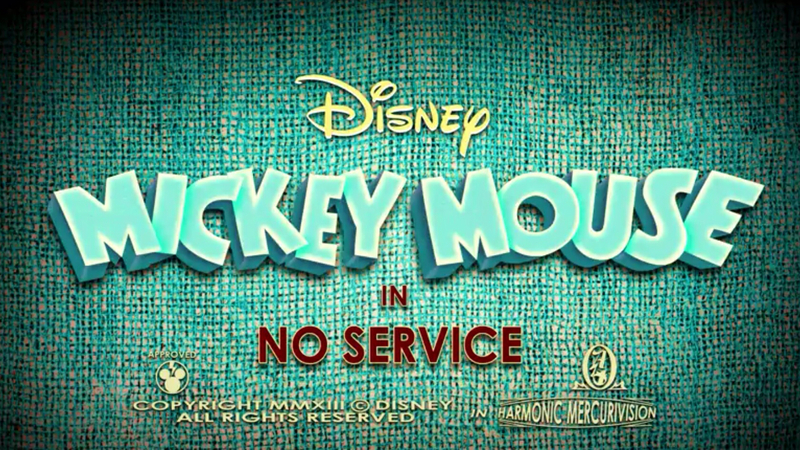 If you want to see more definitely check out Mickey.disney.com. 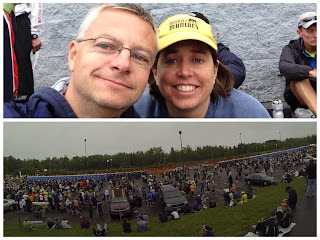 We covered all the pre race and post race fun in an earlier blog post, so here's Holly's report about the race itself. 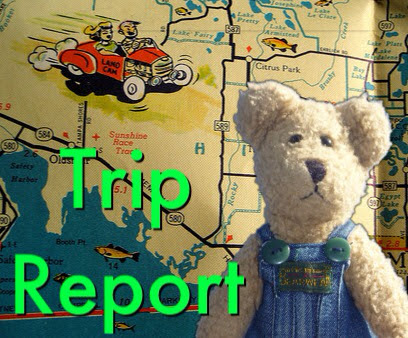 By the time we got into the Duluth/Superior area Friday night, we were tired from the long drive. 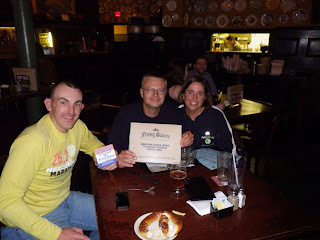 We were planning on going to the Expo even though we didn’t really need to as I had paid extra to have my bib mailed to me before the race. As a side note, I really wish more races would offer this. Super convenient. 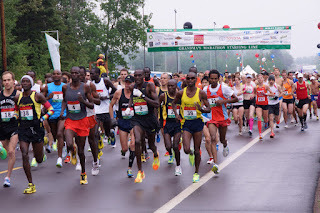 The race organization was excellent about letting you know that you should avoid going to the Expo between 5 and 7 due to the heavy traffic delays caused by the 5k that would be going on at that time. Guess what time we headed to the Expo? 5:15. UGH. This did not help the grumpiness. It took awhile but we finally made it in. I got some cute pictures with our traveling buddy, Fozzie. I also bought a long sleeve technical shirt, because I was thinking that it was really feeling chilly and damp out and I might want one tomorrow. Lesson learned, always pack for everything! We headed out of the Expo pretty quickly. It was smaller than I expected for the size of the race. We found our dinner spot and headed back over to Superior to try and get a good nights sleep. Race morning started at 4:30. It was still really foggy and damp. Luckily there was no rain yet. I was very relieved about that. 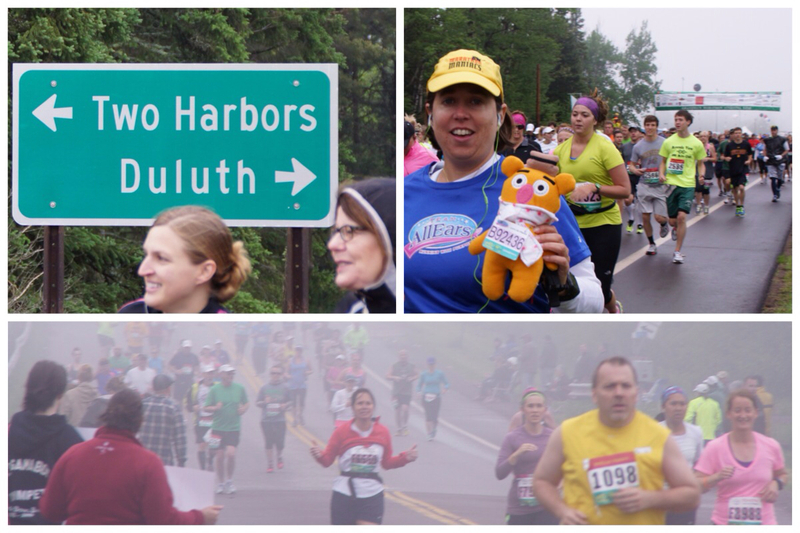 Grandma’s Marathon is a point to point course that starts in Two Harbors, MN and ends in Duluth, MN. 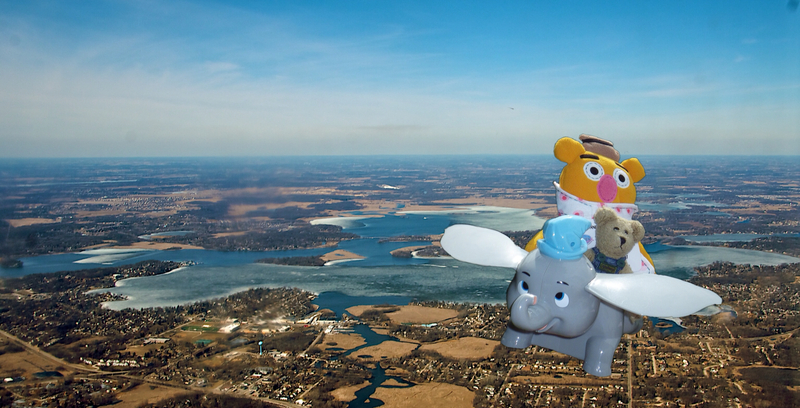 Grandma’s says you must take their transportation to the start to ensure that you are there in time. My hotel had a bus pick up at 5:30 and it pulled up right on time. I was trying not to look out the window because I really don’t like to see what I’m going to be running. Plus it seemed really far! 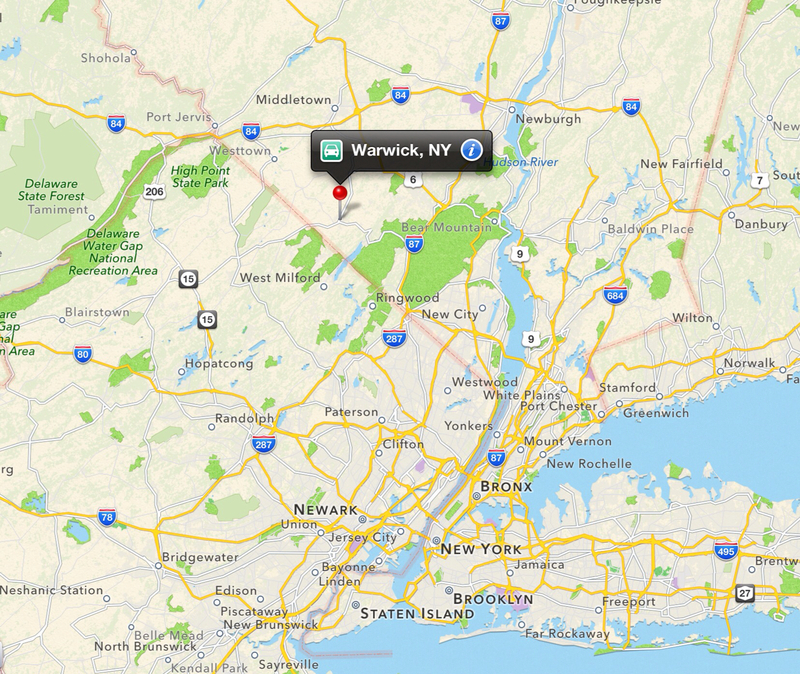 I’m not used to point to point courses and this really accentuated how far 26.2 miles really is. The bus ride was no issue and we were at the starting area in no time. A short walk over to the “runners village”, i.e. port o potty land, and I found a space on the ground to put down a trash bag and sit and wait the hour and half until the start. Of course spectator extraordinaire, Dave made it into the runners village. It was nice to have him there to pass the time. It was freezing and I was so thankful it was not raining. I waited in the longest port o potty line ever and literally walked into my corral right at the start time. They bill this race as a nice downhill course with spectacular views. Unfortunately the weather can’t be controlled, and the course was fogged in the whole way. I never could see the great Lake Superior. Also I wouldn’t call the course downhill. It was definitely more rolling. Nice gentle rollers though. I am still struggling with Plantar Fasciitis in my right foot and have changed over to Hoka One One shoes to try and beat this. They are very cushioned. I had about 70 miles on them before the race, but my longest run in them was 15 miles. I was hoping I made the right decision. I got to see Dave right at the start and of course several times along the way. He did great finding me and for dealing with standing in the freezing cold and rain. 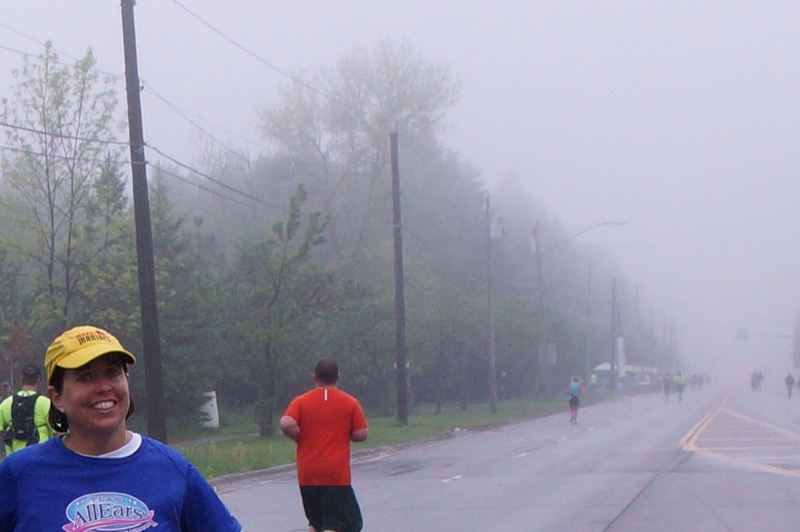 It was truly a miserable day for running and even more so for spectating. My goal was to stay with the 5:30 group as long as possible to keep me from going out to fast. I did well at this and forced myself to stay back even though I felt good. I stayed with them until about mile 14 or 15. Then my foot really started bothering me and I was really shuffling along. 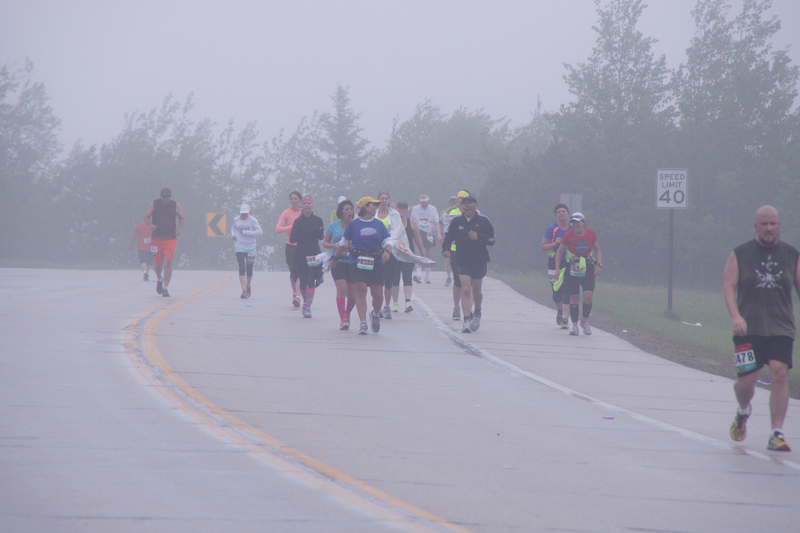 The course was really boring through this point with very little to look at due to the fog and very few spectators. I had a mini breakdown at mile 16 but pushed that down and thankfully got into a small town that had some spectators out and they lifted my spirits. I also had a banana, which helped. I think I needed something more to eat since the marathon had such a late start. I of course found beer at two points on the course and it was most welcome! Grandma’s did a nice job at the water stops, with plenty of water, Powerade, ice and sponges at all of the stops. I saw Dave at mile 18 or so and was pretty miserable and so was he. I was honestly ready to pull the plug, but when you are trying to do a marathon in every state, it’s really hard to give up. I kept going but I was starting to have some IT Band pain and calf tightness. This is something I have never had before in a marathon, so I’m not sure if it’s the Hoka’s or if it was bad form from the foot pain. I’m giving up on them for a bit and may try them again in the future. Finally made it into the outskirts of Duluth and my mood greatly improved. There is something about making it into the 20’s that always lifts my spirits. Then it started to pour. Great! But actually it was a good thing, because I wanted to break 6 hours and it was going to be close. I hate running in the rain so the rain made me go faster. It was cold, I was cold and I wanted to be done. Finally made it to the finish line and of course Dave was there! It was great to see him and to be finished. The finish area was chaotic to me. I got my medal, finisher’s shirt, bottle of water and a heat sheet and exited the area. Apparently I totally missed all the food, which was a bummer because I was starving! Dave found me and we went back to the hotel for a lukewarm shower, boo! My final thoughts on the race are very jaded. 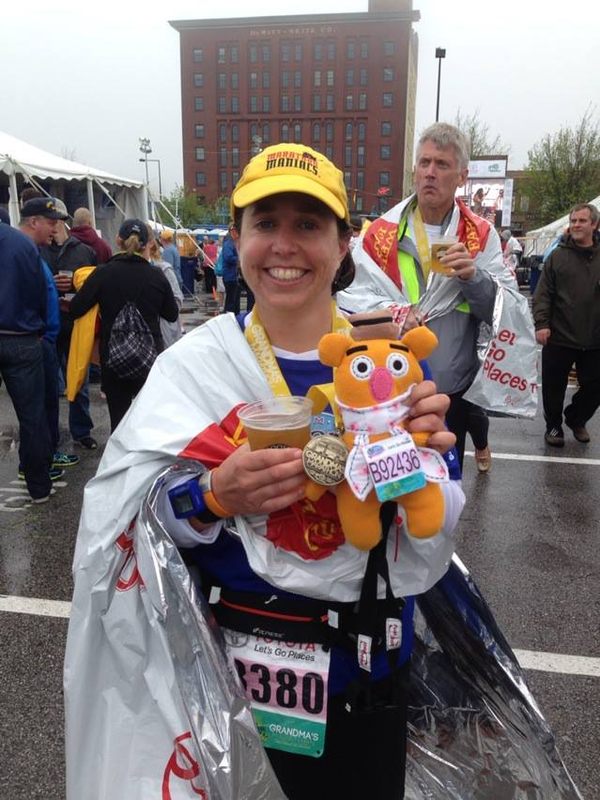 I was hurt and the weather stunk, so maybe that was why I just didn’t understand the charm of this race. This is one of the races that I was first told that I must do and I’m not so sure why this should be on the list? I had a feeling snacks would be hard to find along this course. So I stocked up with a bagel, apple, granola bar, Sour Patch Kids, Diet Coke, nuts, and coffee. I drove to the start line and was surprised to find Canada was only 140 miles away. After being misdirected by volunteers a couple of times I was finally able to park my car near the start line. 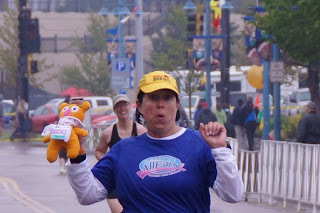 I was able to keep Holly (and myself) entertained in runner's village before the race. When I made it to my start line viewing area I noticed all the other spectators and I had something in common: lots of camera and tripods. What I didn't have that they did: press passes. Start line was pretty desolate. The course was pretty easy to follow and I had no issues parking, even in the crowded spots. Man was it cold! There were a few occasions I almost pulled the plug and headed to the finish. At mile 14 I had to trudge through the woods to get to the course and ended up slopping through some mud - soaking my feet. The finish area was pretty cool since it was in the entertainment district of town. Beer was easily attainable (but I didn't bother to get any). I was able to spectate at the start, miles 6, 9, 14, 18, 20, 22, and the finish. I think I could have worked one more in but I wasn't sure about traffic getting back into the Canal Park Peninsula. Overall I exceeded my plan by one stop so it was a win!